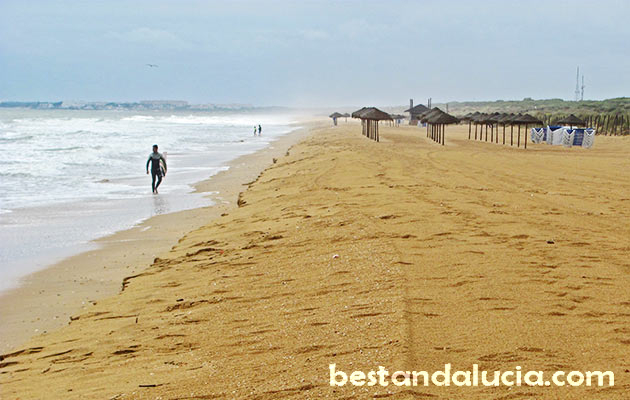 Costa de la Luz is widely considered the best holiday coast on the Iberian Peninsula. Wide beaches set in unspoilt countryside. Never overcrowded with soft golden sand and shallow crystal-clear waters. 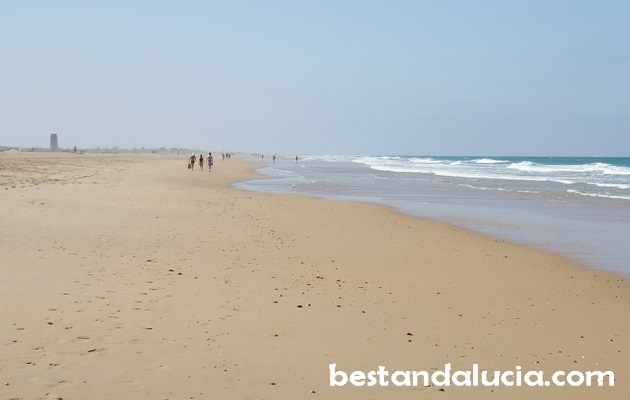 Affordable and quiet seaside hotels and holiday houses… If you don’t mind lack of fancy restaurants and shops of Costa del Sol or won’t miss full English breakfasts, you will fall in love with Costa de la Luz! From time to time this idyllic vision of Costa de la Luz can be somewhat spoilt by excessive wind which makes sand get into your eyes when you lie flat on a beach towel, but, then again, the wind also makes Costa de la Luz the favourite destination for kitesurfers and windsurfers in Europe. Costa de la Luz can be divided in three parts. The eastern region west of Tarifa, the middle Cadiz region and the most remote eastern Huelva region, up to Algarve in Portugal. 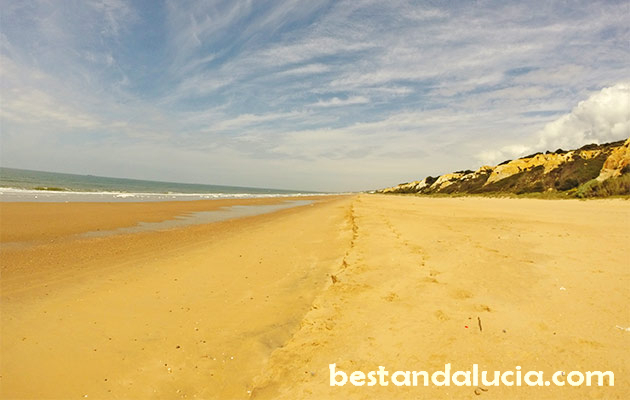 We have prepared a separate ranking of the best beaches for regular beach goers for each region. 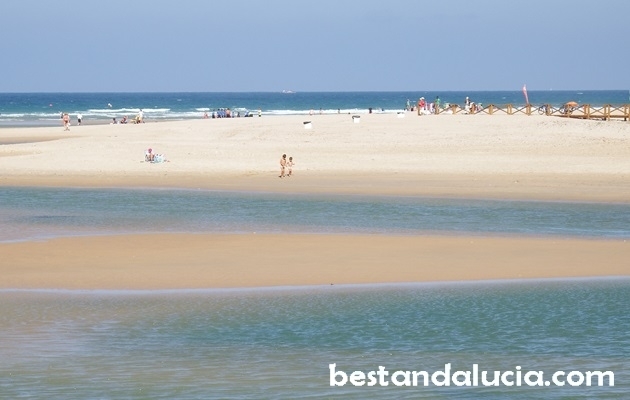 Have a look at the most recommended beaches in the part of the Coast of the Light where you have booked your holidays! 1. 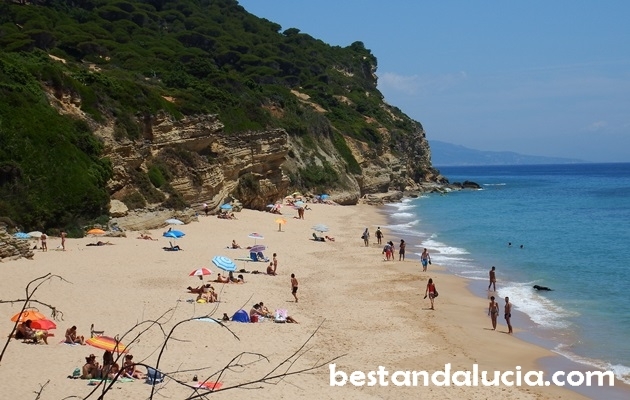 Bolonia Beach – once you leave the highway, it takes around 7 km to get to the beach, but the great time you are going to have in Bolonia is well worth the effort. The shallow waters in the large Bolonia bay make it an ideal destination for family holidays. In the quite northern part of the beach there is a 30 metre high famous sand dune surrounded by pine forest – get to the top to enjoy great views of the beach! Just next to the beach there is Baelo Claudia, the remains of a Roman fish-salting factory. 2. Los Lances beach in Tarifa – most popular in Tarifa. Long family-friendly beach located in the northern part of the city between the small Chica beach and Rio Jara beach where the river enters the sea. Starting point of the Atlantic. Next to the kite surfing hot spot. Great for long family walks, great for sunbathing. Great crystal clear water. 3. 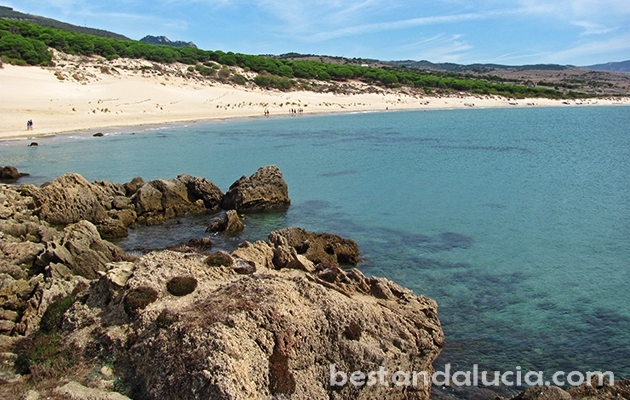 Punta Paloma beach near Tarifa – located to the east of the famous surfing and kite surfing Valdevaqueros beach. Punta Paloma can be divided into two parts. The eastern more popular wider part features sand dunes. The western part of Punta Paloma is a secluded and narrow beach strip that ends at Arroyo de los Puercos. The only two ways to reach the strip is either a 20 min walk from the Punta Paloma parking or through a sandy pine forest. This narrow part offers loads of privacy, as it’s hidden behind steep bushy hills which often guard you not only from behind, but also from the left and right. For this reason, it is quite popular among nudists. 4. 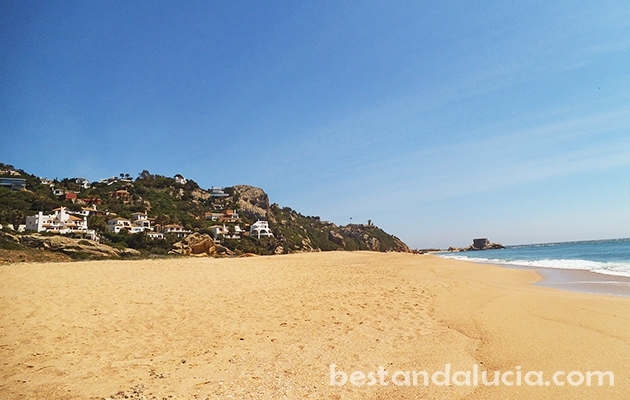 Zahara de los Atunes, local beach – from the centre of Zahara you can access a fantastic wide 6 km long local beach. It’s never crowdy, even in peak season when people from inland Spain flock to the coast to seek relief from the heat. Zahara beach boasts some great fish restaurants and nice bars around. The water is mostly shallow – ideal for water fun, or snorkelling. There is a camping site nearby as well. 1. El Palmar beach near Conil de la Frontera and Vejer de la Frontera – one of the most popular beaches on Costa de la Luz, massive beach, 8 km long and 50 metre wide, with really warm water most of the summer, becouse of it’s size and the fact that it is not located directly in Conil it’s never overcrowded, even on summer weekends. The water is really shallow, therefore recommended for kids. 3. 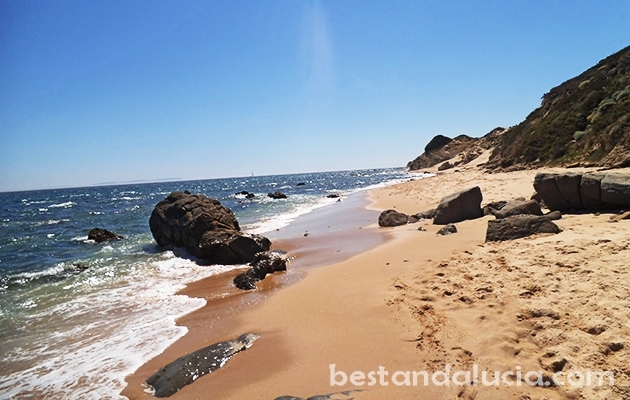 Zahora beach near Barbate – nice beach with great views of the Cape Trafalgar, one of the warmest waters in the area – the water is shallow and the waves low, difficult to access the beach by car which makes the beach perfect for those seeking tranquillity. 4. 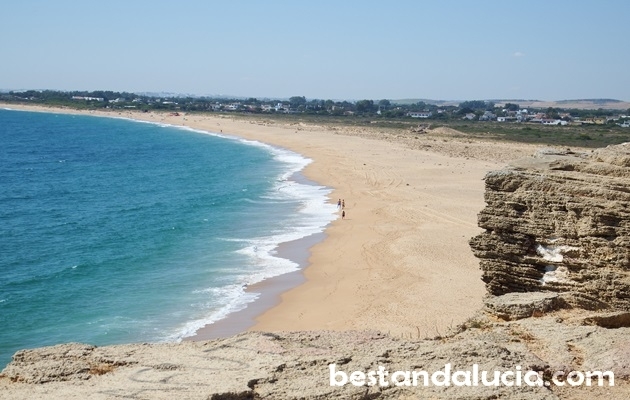 Los Canos de Meca, local beach, close to Barbate and Vejer de la Frontera – beach in a small sleepy village, beach sheltered by cliffs where the village is perched, never overcrowded, close to the famous CapeTrafalgar, camp sites available there, located 10-12 km off the main A48 road. 6. 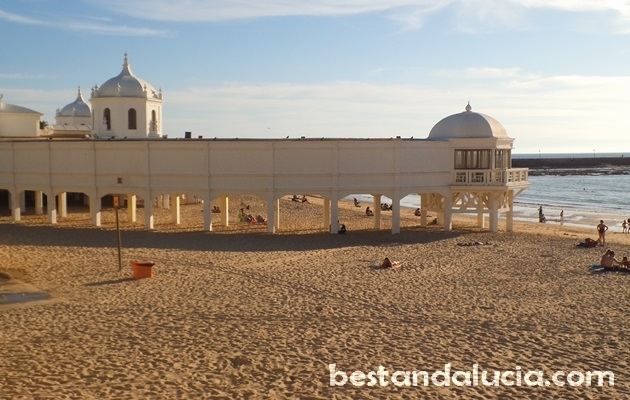 Caleta beach in Cadiz – small size beach, the only beach in Old Cadiz, therefore, very popular in summer, nice views of Cadiz, especially during sunsets, shallow water, all the best restaurants and bars just across the street. 3. Rompeculos beach near Huelva – east of Huelva, very wide 3 km long beach, beautiful countryside and nature around, close to the Donana natural Park; Rompeculos is close to the famous Cuesta Maneli beach which is equally beautiful, however, it is difficult to quickly access Cuesta Maneli on foot. 6. 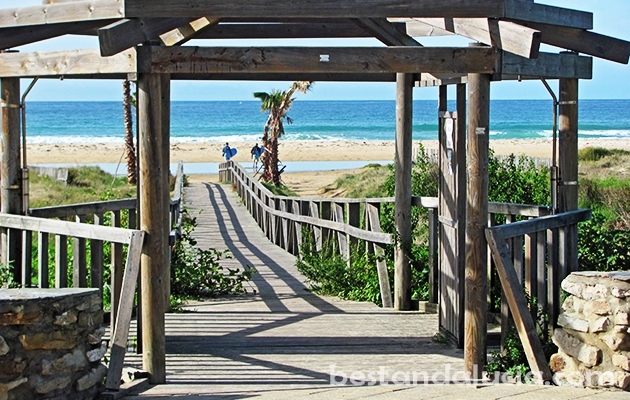 Pierdas Gordas beach in Rota – 2 km long, not many beach-goers can be found there, nice sand dunes and pine trees around.